Our mission represents a new standard in pet food, designed to nourish your dog and cat in two ways. First, according to its natural evolution to a meat and protein-rich diet. Second, using meats, poultry, eggs and fish that are sustainably ranched, farmed or fished by local suppliers and delivered to our kitchens fresh each day. And tastes good when you eat it. It’s no surprise that dogs love the freshness of NOW. It’s so fresh, it’s like eating off the kitchen counter (down, girl). We pack NOW FRESH™ full of nutritious ingredients like 100% market-fresh meat or fish. 100% fresh omega 3 & 6 oils from coconuts and canola. Discover our recipes for Puppies, Adults and Senior dogs. WE CRAFT PREMIUM FOODS BASED ON EVERYTHING WE’VE LEARNED FROM NATURE. A Physiologically Tuned™, nutritionally correct diet for your canine companion means meat first, limited ingredient recipes. Meat first provides canines the animal protein they need to thrive, while our limited ingredient philosophy eliminates troublesome staples such as Chicken, Corn, Wheat, Soy, and Potatoes. The result is optimal hypoallergenic, low-glycemic nutrition. 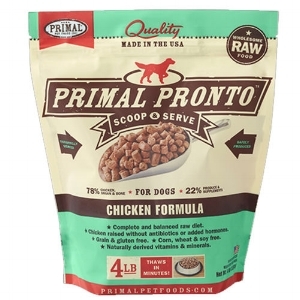 We build on this natural foundation by adding vital supplements such as antioxidants, essential fatty acids, and a complete spectrum of vitamins and minerals for holistic pet food that goes beyond nature to become your pet’s signature food for life. Carnivora™ provides high quality fresh frozen products that encompass safe production and handling criteria for the benefit of the consumer as well as their companion animal. Carnivora™ only accepts healthy, disease-free whole animals from small scale establishments that follow holistic management and feeding practices. The animals are transported to designated slaughter facilities where upon arrival they are humanely slaughtered, and handled according to the Canadian Meat Inspection Act and Regulations. These regulations contain strict facility standards to ensure proper handling of the animal and the safety of the meat/meat product. Slaughter facilities are Federally inspected or meet the regulatory requirements of the jurisdiction in which the slaughter facility is located. Key ingredients are grass fed beef raised without hormones, antibiotics, or grain. Omega rich Wild B.C. Salmon and fresh vegetables. Our commitment to our customers and their beloved pets is to provide the highest quality raw pet foods and treats using only USDA edible-grade ingredients of the highest quality and origin. We have secured strong, long-term relationships with all of our vendors who humanely raise, sustainably grow and responsibly process all of the proteins, organic fruits* and vegetables, and unrefined food-based vitamins and minerals in our products. Also available in Freeze-dried nuggets as well. Our idea behind GATHER™ was to craft a new kind of pet food, using certified and organic ingredients, perfectly blended and balanced to provide your dog or cat with premium quality, natural nutrition. We kicked at the dirt in their fields, inspected their farms, stood on their boats and found a handful of farmers, growers and fishers who were practicing the responsible, sustainable production of extraordinary quality, certified and organic ingredients. Those who survived our scrutiny have become our trusted partners in GATHER; functional, whole food from the earth and ocean, with nothing added that’s not needed. We gather you’ll like it. Introducing WILD OCEAN Line-Caught Cod, FREE ACRES Organic Free-Run Chicken and ENDLESS VALLEY Vegan recipes for adult dogs. Though our company was founded at the turn of the 20th century, the Fromm and Nieman families have been related by marriage and business since the mid-1800s. Tom, Kathy, Bryan, and Dan Nieman proudly represent the fourth and fifth generations of a business born in Wisconsin in 1904.